Under the Greek gambling taxation scheme, all winnings of less than €100 are tax-free while a 15 percent tax is applied to all winnings between €100 and €500. Winnings over €500 are subject to a 20 percent tax rate. 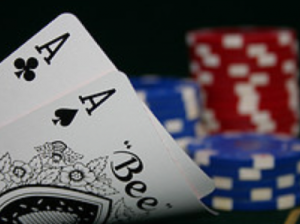 The appropriate amount of taxes is withheld on a daily basis by the poker room itself. What makes this arrangement especially odious to players is that losing days cannot be used to offset winning days thus making the effective tax rate on winnings much higher than it may seem at first glance. 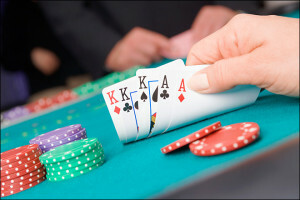 Affected players quickly realized that tournament registrations are counted against winnings for the purposes of tax collection even if the tournaments in question are scheduled to occur on a future date. Tournament unregistrations count as profits for the days during which the unregistrations take place. A player who has won €120 on a given day could register for a future €22 tournament in order to bring his daily profits below the €100 threshold. On a future date, when the player has a daily profit below €78, that player could then unregister from the tournament effectively juggling his profits around to minimize tax liability. By this process, dubbed “Taxes hold’em” by online wits, players from Greece can make thousands of euros of taxes per year disappear completely. The future of Greek online poker looks grim especially for those poker professionals who rely upon the game for their income. Loopholes may be closed in future thus subjecting players to the full brunt of the tax code. Only by allowing players to subtract their losing days from their winning ones will Greece enable a flourishing and sustainable online poker ecology.